Councillor Fairclough proposed that the minutes be amended to correct a typographical error in relation to the Liberal Democrat vote on the substantive motion for Item 8, Constitution of Committees and other bodies. The motion was seconded by Councillor Quilliam. The motion was put to a vote and was agreed. RESOLVED: That the minutes of the meeting held on 23 May 2018, as amended, are agreed as an accurate record. The Mayor provided a brief update on her Mayoral activities since the last Council meeting. There were no announcements from the Leader or the Chief Executive on this occasion. The Mayor presented 5 awards. The first was to Merton resident and London Fire Brigade Junior Cadet Bethany Grech, in recognition of her life saving first aid skills. The second was to a Raynes Park business, Business Clan, who had been awarded the UK Employer of the Year at the recent National Federation of Small Business Awards. The Mayor then presented three awards to the Council’s Business Systems Team for Best in the London Region for Address Data; a Gold Performance Award for Address Data; and a Gold Performance Award for Street Data. The responses to the written public questions were circulated prior to the meeting. The Mayor then invited each of the questioners in turn to ask (if they wished) a further question to the Cabinet Member. A copy of the supplementary questions and responses will be included in the ‘Supplementary Public and Councillor Questions and Replies’ published document. The responses to the written member ordinary priority questions were circulated prior to the meeting. The Mayor then invited each of the members in turn to ask (if they wished) a further question to the Cabinet Member. A copy of the supplementary questions and responses will be included in the ‘Supplementary Public and Councillor Questions and Replies’ published document. During the Cabinet Member for Children’s Services response to a supplementary question from Councillor Irons, Councillor Williams raised two points of order: the first that it would be helpful if the Cabinet Member circulated written responses to Members; and secondly that the Cabinet Member should be mindful that the time allowed for Member questions was limited and that other Members wished to ask supplementary questions. The Mayor requested that, as a courtesy to all those present at the meeting, all Members keep both their supplementary questions and responses brief. The responses to the written member strategic theme priority questions were circulated prior to the meeting. The Mayor then invited each of the members in turn to ask (if they wished) a further question to the Cabinet Member. A copy of the supplementary questions and responses will be included in the ‘Supplementary Public and Councillor Questions and Replies’ published document. The Strategic Theme report on Sustainable Communities with a focus on Culture, Leisure and Sport was moved by Councillor Draper and seconded by Councillor Alambritis. Councillors Fairclough and McLean also spoke on the item. The motion was moved by Councillor Holmes and seconded by Councillor Ormrod. The Labour amendment as set out in agenda item 16 was moved by Councillor Allison and seconded by Councillor Stringer. The Labour amendment was put to a vote and was carried – votes in favour: 41, votes against: 17, abstentions: 1. The substantive motion (as amended) was then put to a vote and was carried – votes in favour: 41, votes against: 17, abstentions: 1.
b) Request Cabinet approve long term alternative uses, including housing. The motion was moved by Councillor Bokhari and seconded by Councillor Quilliam. The Conservative amendment as set out in agenda item 17 was moved by Councillor Dean and seconded by Councillor Janice Howard. The Conservative amendment was put to a vote and fell – votes in favour: 20, votes against: 33, abstentions: 6. The Labour amendment as set out in agenda item 18 was moved by Councillor Draper and seconded by Councillor Mark Kenny. The Labour amendment was put to a vote and was carried – votes in favour: 33, votes against: 26, abstentions: 0. The substantive motion (as amended) was then put to a vote and was carried – votes in favour: 33, votes against: 26, abstentions: 0. Merton’s long running and popular volunteer-led Little Leagues that provides football to local children at low annual subscription rates are potentially facing charges for use of public parks because 8 years of austerity measures by the Tory government and previously the Lib Dem-Tory coalition, have forced Merton to follow the lead of councils like Liberal Democrat-controlled Sutton, in outsourcing their parks management services to contractor idverde. · The Merton council report in March 2017 ‘Tackling childhood obesity together’ outlined the importance of organised physical activity for the children of the borough. · The Little Leagues is a volunteer-led organisation that has been serving the residents of Merton, providing organised football at low subscription rates, and is this year celebrating 50 years as part of the lifeblood of this borough. · Merton council has historically supported Little Leagues by offering use of the parks for free whilst other boroughs including Sutton have historically charged, and by identifying sponsorship opportunities. · The volunteers for all our Merton Little Leagues past and present do an important job and are supported by the London Borough of Merton and its elected representatives to continue their work. 1. Agree the principle that our volunteer-led Little Leagues should be able to continue use our parks for the benefit of the borough of Merton in any future contract. 2. Urge current contractor IDVerde to draw up clear Service Level Agreements with Little Leagues to ensure fees are constant and remain constant . 3.Ensure all charges to Little Leagues for our parks and related facilities are reasonable and itemised so it is clear what it being paid for. 4. Continue to support the Little Leagues in identifying and securing sponsorship opportunities. The motion was moved by Councillor Simpson and seconded by Councillor Gretton. The Labour amendment as set out in agenda item 19 was moved by Councillor Macauley and seconded by Councillor Pritchard. Councillors Quilliam and Holmes spoke on the item. The Labour amendment was put to a vote and was carried – votes in favour: 33, votes against: 17, abstentions: 9. The substantive motion (as amended) was then put to a vote and was carried – votes in favour: 33, votes against: 17, abstentions: 9.
a) Appeal to the government to save Wimbledon Police Station from closure by buying the land from City Hall itself and seeking to lease it back to the Mayor’s Office for Policing and Crime (MOPAC). 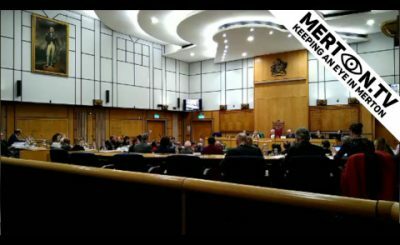 b) Resist any further cuts to services in Merton that would be associated to making provision in the Medium Term Financial Strategy for the acquisition of the Police Station and associated running costs. The motion was moved by Councillor Kohler and seconded by Councillor Fairclough. The Labour amendment as set out in agenda item 20 was moved by Councillor McCabe and seconded by Councillor Butler. Councillors Holmes and Southgate spoke on the item. The Labour amendment was put to a vote and was carried – votes in favour: 36, votes against: 23, abstentions: 0. The substantive motion (as amended) was then put to a vote and was carried – votes in favour: 36, votes against: 17, abstentions: 6. This council notes that judgment has yet to be handed down on the judicial review around the Mayor of London’s consultation on the future of London’s police stations following the government’s£1 billion cut in funding for the Metropolitan Police. Given this uncertainty and the recent changes to policing in Merton, the Council is mindful of the fact that the Overview and Scrutiny Commission has responsibility for the scrutiny of crime and disorder in Merton, and that the Commission invites the Borough Commander to attend twice a year to present the latest crime statistics and to answer questions on crime and policing. The council is aware that the Chair of Overview and Scrutiny, Cllr Peter Southgate, has extended an invitation to Chief Superintendent, Sally Benatar, Borough Commander of the 4-borough Borough Commander Unit (BCU) to attend the Commission’s meeting of 19 September. Council, congratulates the Commission on it’s work on policing and urges the Commission to continue to monitor the impact of changes to local policing including: the planned closure of Wimbledon police station; the creation of a merged BCU and the resultant loss of a borough police commander for Merton. Council resolves to urge the Commission to continue to look into reductions in borough police numbers that are unwise at a time of increasing terrorism. 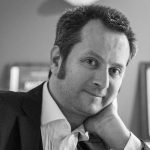 Scrutiny challenges the police while also recognising that the police service and the Mayor of London face desperate challenges as a result of government austerity cuts. The Overview and Scrutiny Commission Annual Report 2017/18 was moved by Councillor Southgate and seconded by Councillor McCabe. Through the Mayor, the Chief Executive advised the meeting that the 3 hour mark was approaching and that the Council would be asked to vote to extend the meeting for a further 15 minutes to conclude the remaining business on the agenda; and that if the vote fell, the guillotine would come into effect at 10.15pm and the remaining items of business would be voted on in turn with no further discussion. The proposal was then put to a vote and was carried: votes in favour – 26; votes against – 0. The Chief Executive advised the Council that the meeting had been extended to 10.30pm and the business would continue. Councillor Moulton also spoke on the item. That the Council receives the Overview and Scrutiny Commission Annual Report. The report was moved by Councillor Allison and seconded by Councillor Alambritis and Councillor Williams spoke on the item. That the taking of an urgent key decision on 14 February 2018 be noted. The report was moved by Councillor Allison and seconded by Councillor Alambritis. 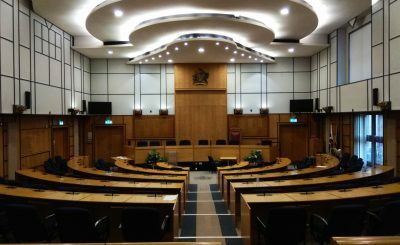 That the changes to the membership of Committees that were approved under delegated authority since the last meeting of the Council be noted. 2. 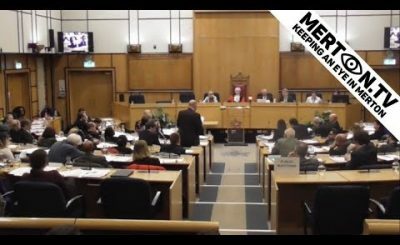 Accepts receipt of a petition presented by Councillor Dean on a Planning Application for 162-164 Hartfield Road; and Councillor Bokhari on plans to charge Little League for use of Sir Joseph Hood Playing Fields. Councillor Moulton announced that the Strategic Theme for the next ordinary meeting of the Council, being held on 12 September 2018, shall be Sustainable Communities.